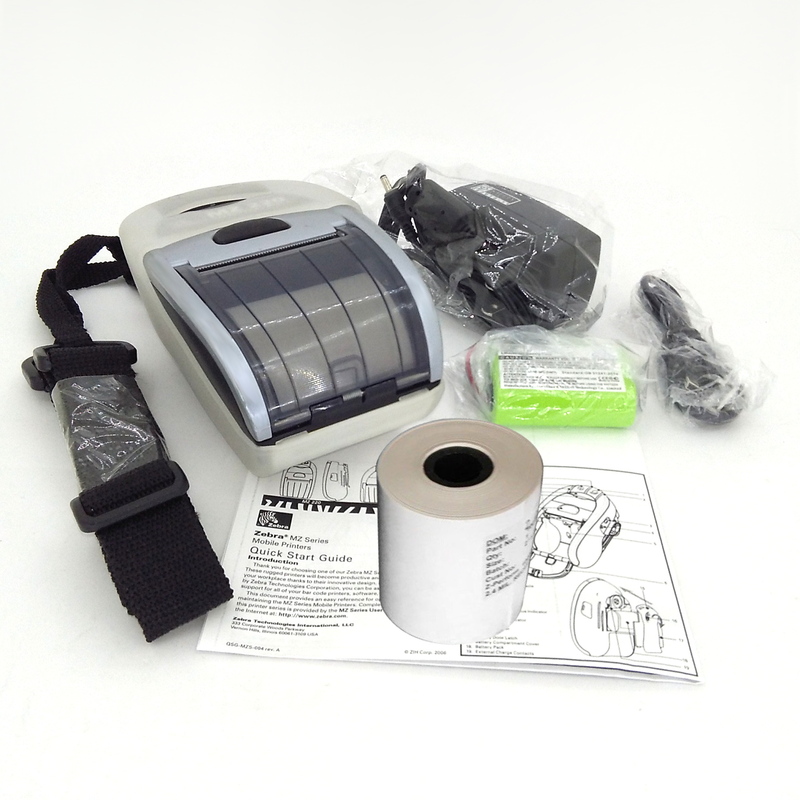 Up for sale is a portable Zebra MZ220 Receipt Printer in great used condition with lots of new accessories. 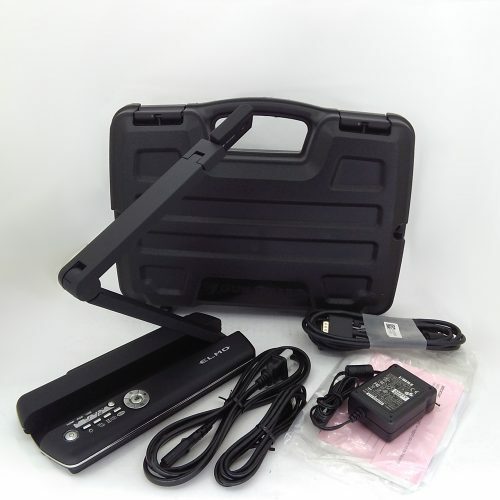 We tested all the functionalities on this device and confirmed excellent working condition. 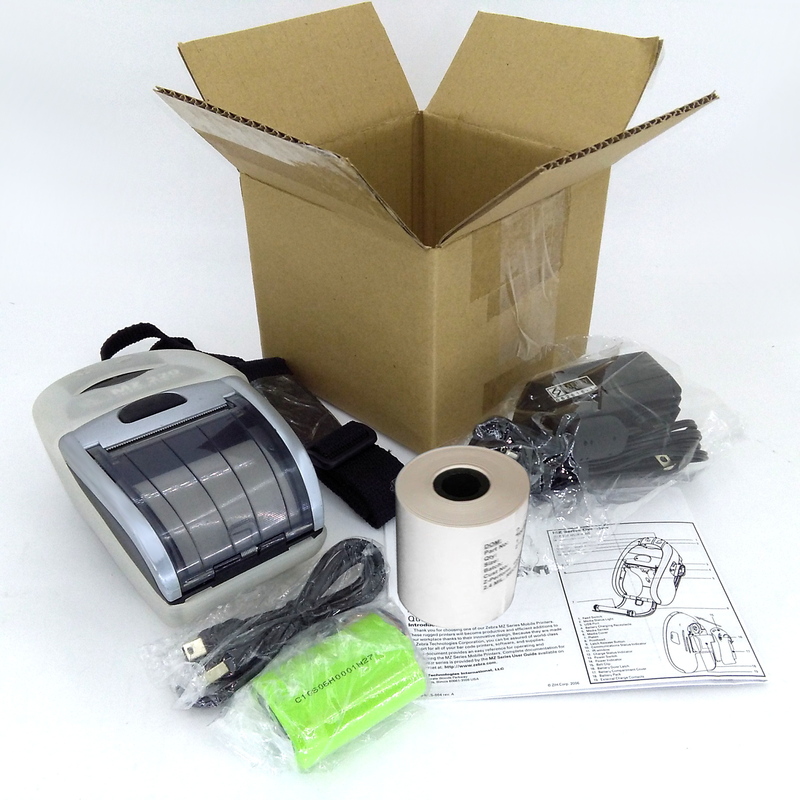 This listing includes the mobile Zebra MZ220 printer with original charger, new rechargeable battery, new protective skin case, new shoulder strap, new USB to Mini USB cable, a roll of direct thermal paper, and a copy of the Quick-Start Guide. Cosmetic shape on this Zebra MZ220 printer is overall very good with minor signs of use. Printer was cleaned, inspected and fully tested. 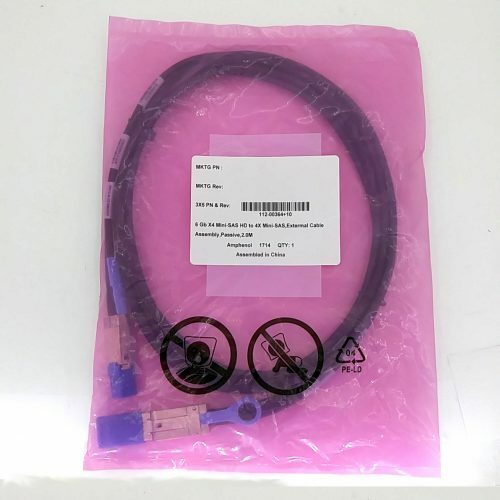 It is in excellent general working condition and Bluetooth and USB connection are as expected. For your convenience, we reset settings to factory defaults, and configured a local-name and PIN for Bluetooth connection. 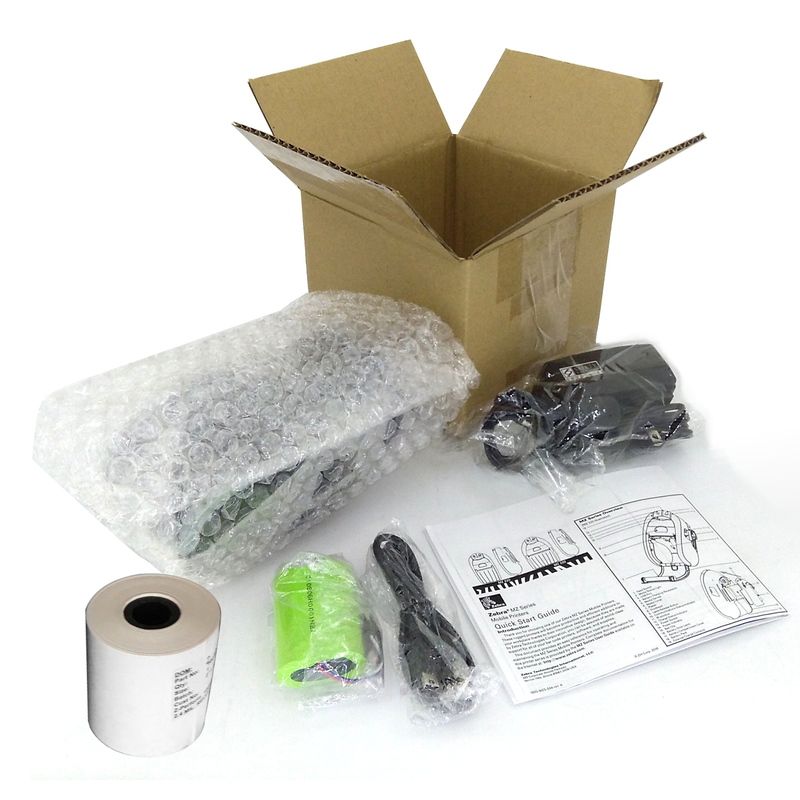 You will receive a working printer with all desired accessories, ready to use out of the box. Zebra MZ 220 printer M2E-0UB00010-01 with USB/Bluetooth connectivity in very good condition. Original/genuine power adapter. Plug it into the printer and charge it between uses. 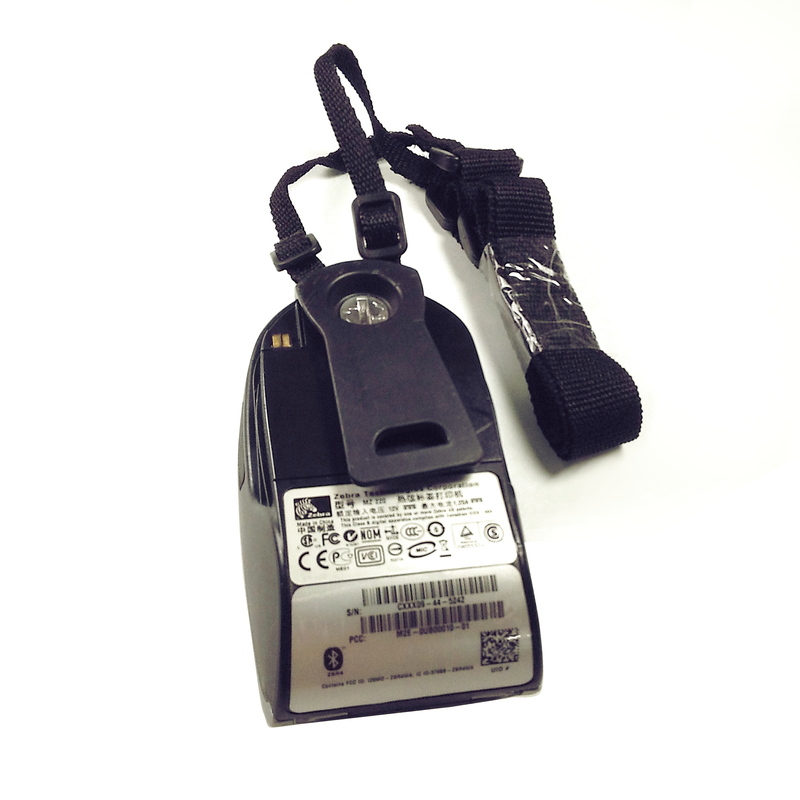 New rechargeable 1.5 Ah Lithium-Ion battery that will be installed on printer before shipping. 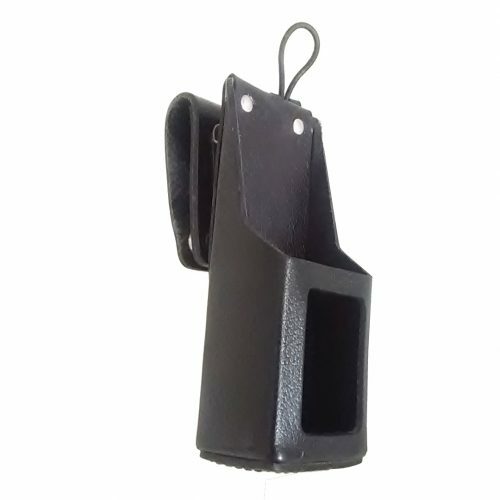 New protective skin case and shoulder strap kit AK18354-1. 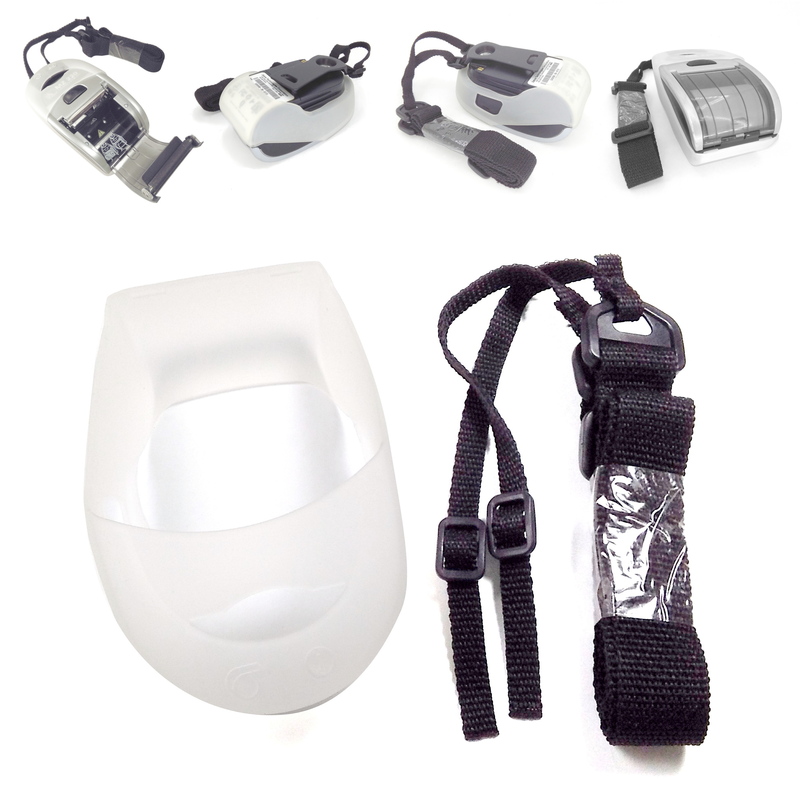 This kit adds a layer of protection, and improves handling and support. It will be also installed on printer before shipping. New USB to Mini-USB Cable. 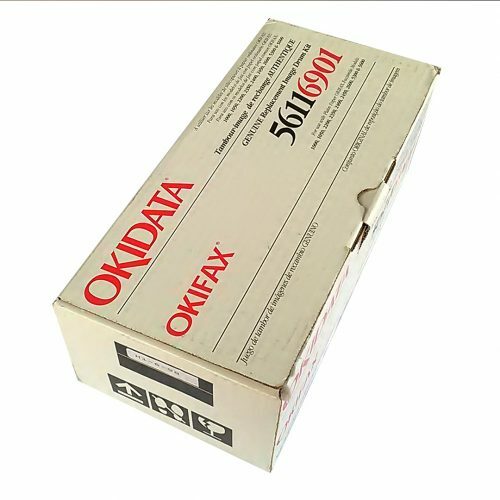 Use it to connect the printer with a PC via USB. 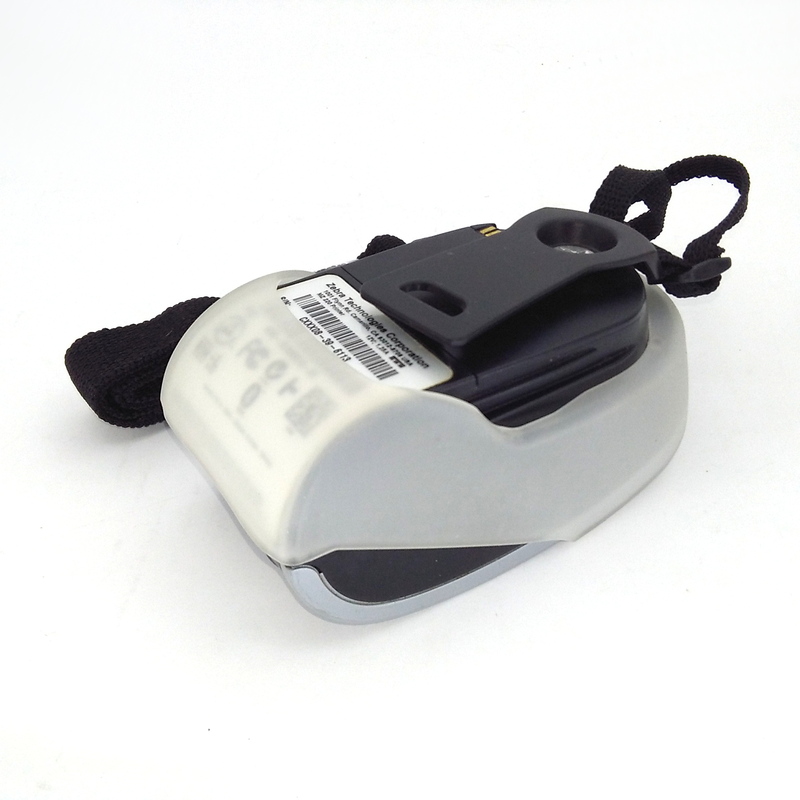 New roll of direct thermal paper (Zebra 10011041 2.4 Mil Receipt Paper, 2″ X 80′, 10 Year Archivability). 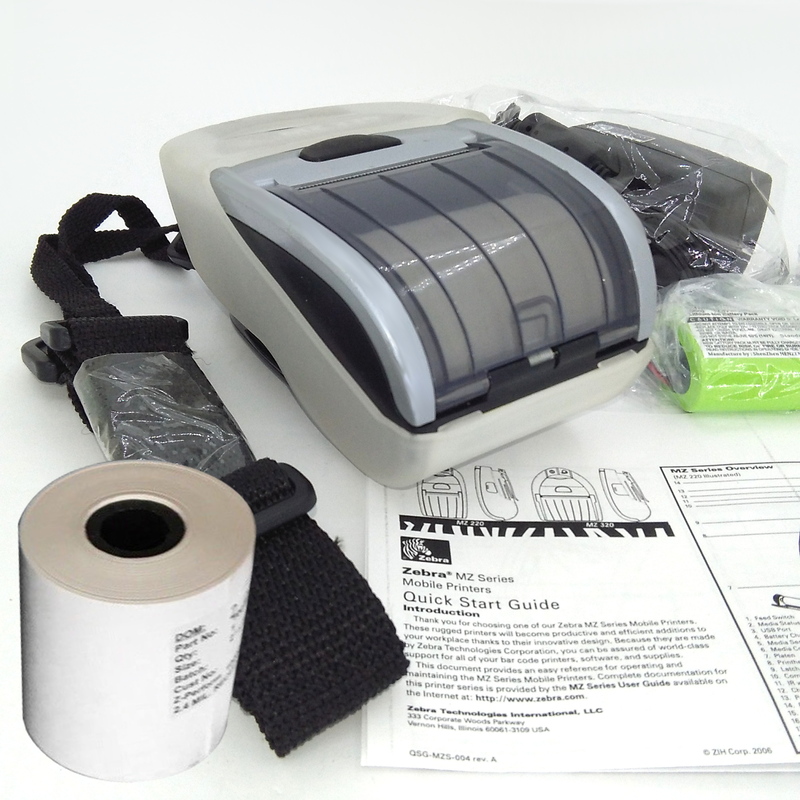 The Zebra MZ 220 mobile printer gives you an economical way to ring up customers away from the checkstand. At 3″ per second, the MZ 220 prints 2″ wide receipts quick enough to keep customers happy. 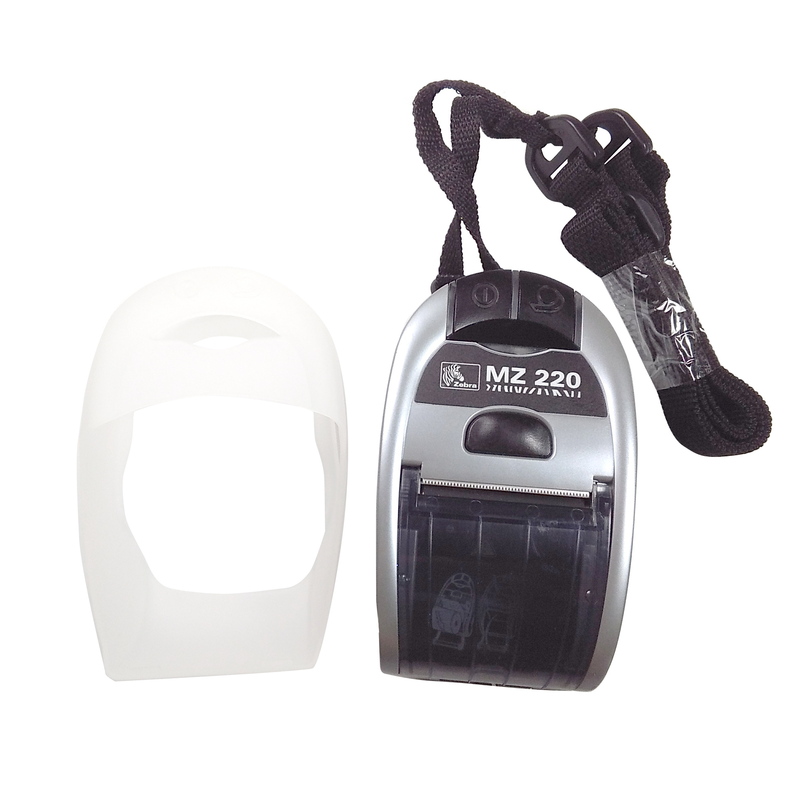 The MZ 220 comes standard with USB and BlueTooth II for greater mobility and versatility. 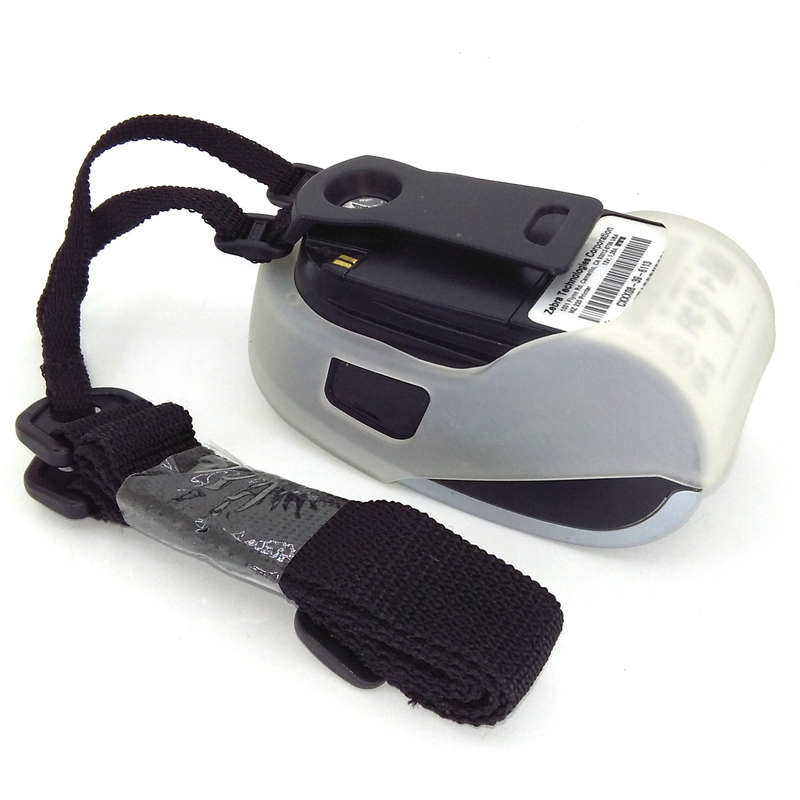 Zebra built the MZ 220 to withstand the rigors of even rough retail environments while maintaining a small form factor. Small enough to fit your hand, the MZ220 features an IP42 seal to keep water splashes and dirt from harming internal components. 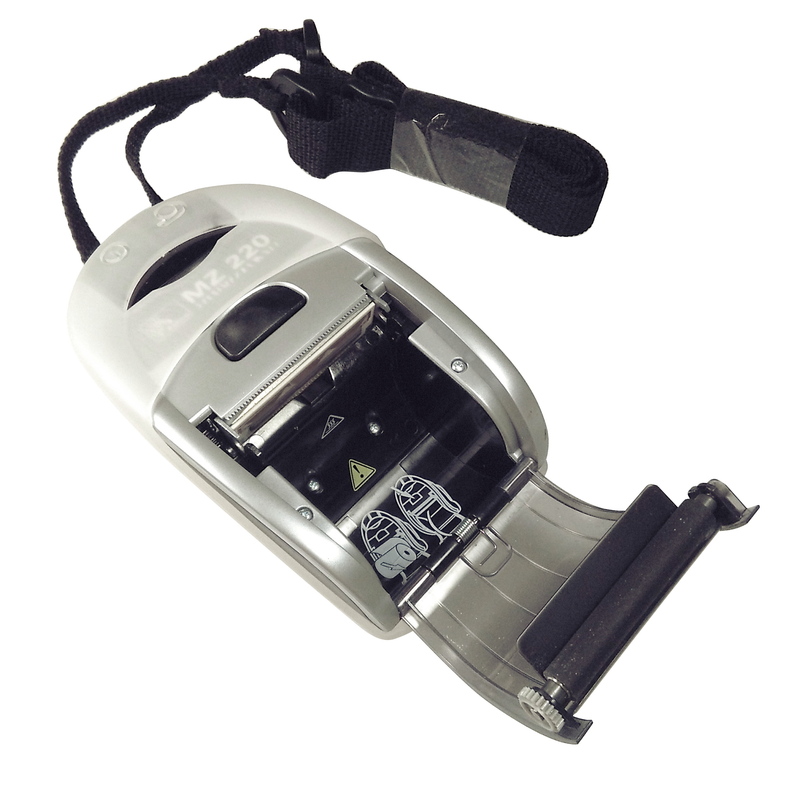 The shock-mounted internal components allow the receipt printer to withstand multiple 4-foot drops to concrete, ensuring it survives the accidental drop during use. IP42 seal protects from water and dirt. 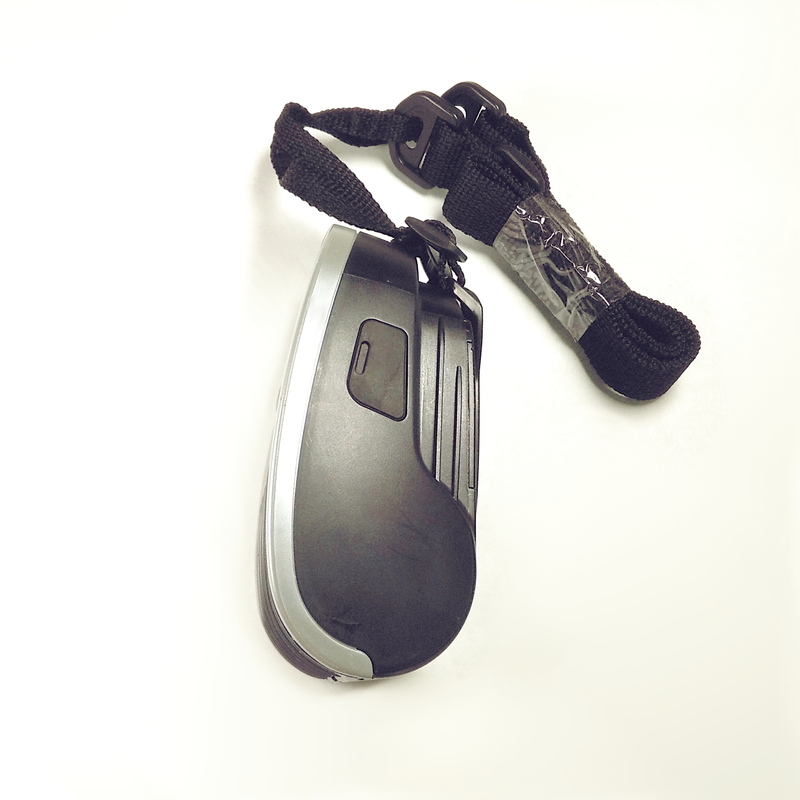 Compatible with Windows CE.Net, Pocket PC, XP, 2000, NT, Windows 7, Windows 10. 8 MB RAM, 4 MB Flash. 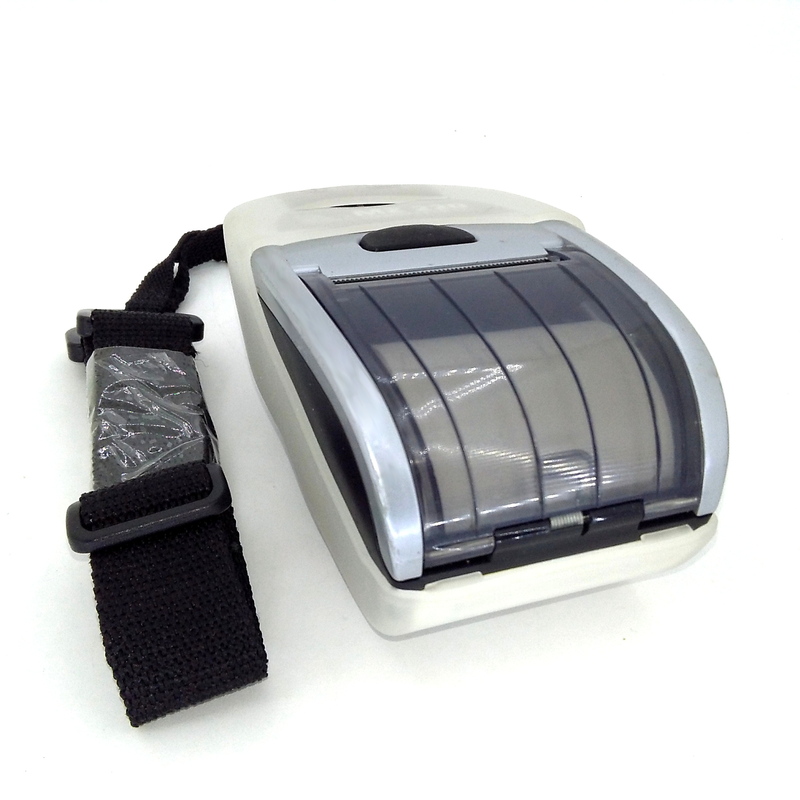 Light 0.7 lb weight with battery. Partial cut. Its only consumable is thermal paper.